measure the application of wet or dry thin coatings and discrete coating layers in real-time. and other upcoming events for Sensory Analytics. and other awards Sensory Analytics has received recently. facility based on their demonstrated commitment to the highest level of film weight quality and control. 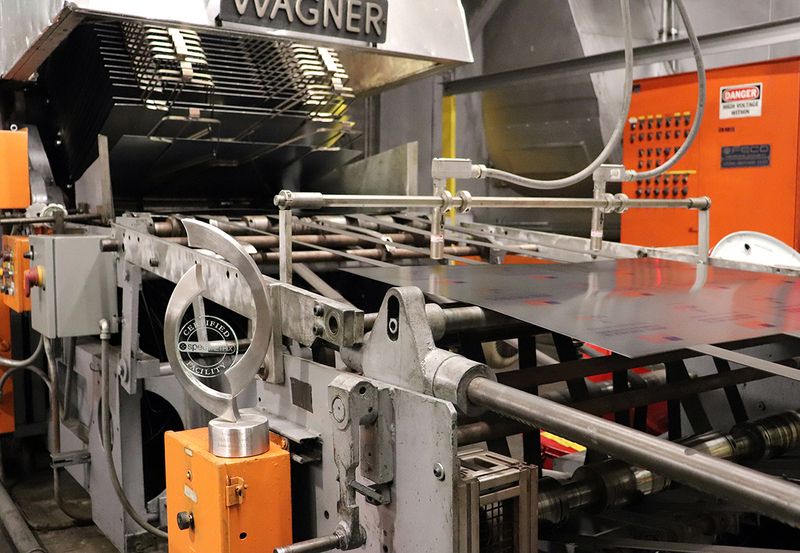 ICE USA 2019 is the leading event in the Americas for the converting of paper, film, foil, nonwovens and other flexible web-based materials. ICE USA is only event dedicated exclusively to converting and processing web-based materials—a hands-on, equipment-heavy exhibition that focuses on delivering the specific products, people, and technological developments you need to improve your operation. This all-inclusive event will be held April 9-11, 2019 in Louisville, Kentucky and combines a comprehensive display of industry innovation with highly relevant education, technical training, and unmatched opportunities to connect with your peers. Stop by Booth 1328 to see a live demonstration of our latest coating thickness and film layer measurement systems. Click the link below to learn more about this exhibition or to register to attend. On Monday-Thursday, April 15-18, 2019, the Hyatt Regency Indian Wells in Indian Wells, Calif. will host the 2019 NCCA (National Coil Coating Association) Annual Meeting. This meeting features a variety of education seminars and presentations on many important topics related to the coil industry. Including a featured presentation by our Global Industry Manager, Greg Frisby, on Wednesday April 17th at 11:15 am that is not to be missed. Click the link below to learn more or register. The Global Release Liner Industry Conference and Exhibition – short GRLICE – is the world’s only conference dedicated exclusively to the release liner industry. It’s the meeting place to share ideas, market developments and network with colleagues across the value chain. It combines in-depth insights into today’s release liner markets and applications, growth areas and opportunities within the industry. We invite you to attend our technical presentation “Maximizing QA And Testing Productivity Utilizing The Latest Real Time Absolute Coating Thickness Measurement Technology” lead by our Industry Manager-Films and Flexible Packaging, Mike Loesher as part of the Silicone And Coating Technical Forum on May 1st at 4:30 pm. Click the link below to learn more or register.